I was recently shocked at the price of fresh calamari at the grocery store, I asked for a few little squids to toss into a Mediterranean pasta and all three little bodies cost me less than a buck! Expect future entries detailing the cooking methods best suited for these the cheapest of lean proteins. 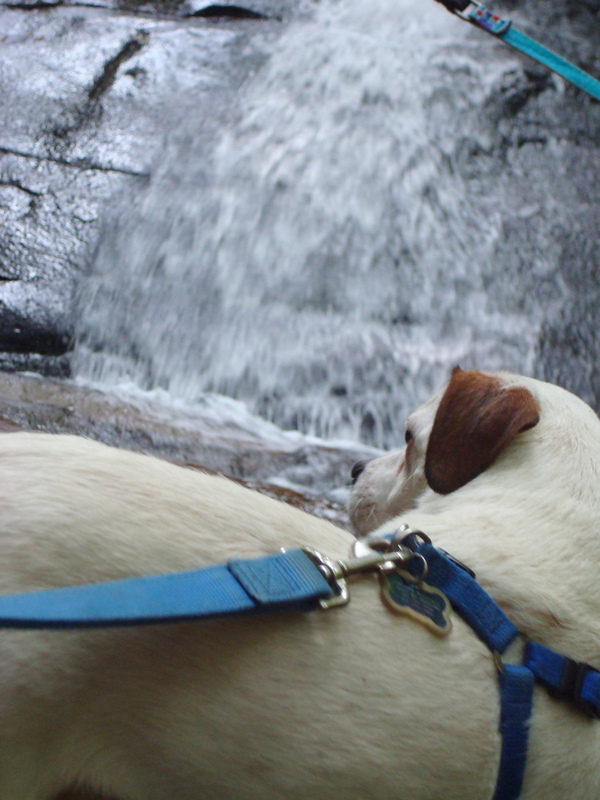 This post however is all about a little phony. A fake-out that renders themselves almost identical to the little squids sea cousin the snail. Now I like me some odd foods. I am a quarter-rican and between myself, Lincoln, and Audrey there are few menu items we completely turn our noses away from. Snails happen to be one of those items. I am sure with proper cooking they are excellent I just have yet to have to guts to try them out. You may be wondering what all this snail banter is about, well then I’ll get to the point. 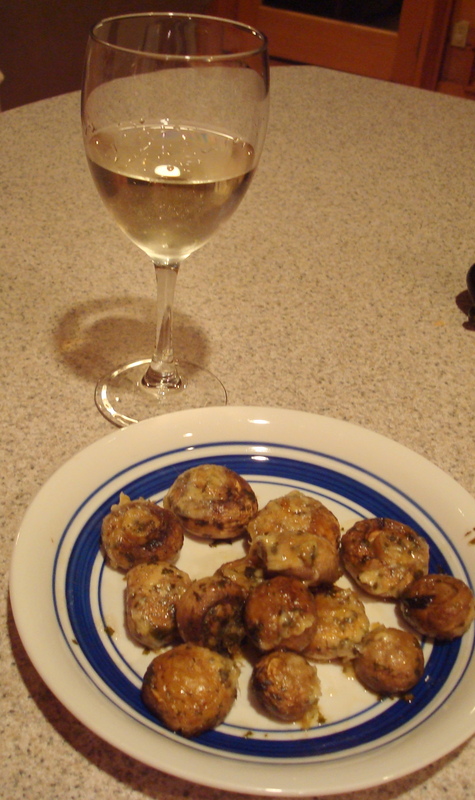 While perusing the great an honorable Smitten Kitchen blog I noted a recipe for roasted mushrooms. As with all recipes I read it and then closed the window and decided I would wing it and do things my way. As it turns out my way is freaking amazing! This brings me to my point, these roasted mushrooms ended up looking exactly like delectable roasted snails sans annoying shell and specialty plater. As such I paired them with a nice glass of Pinot Grigio and wished I had the foresight to purchase a baguette to toast up with melted butter so that I could scoop these slippery little suckers on toast points and turn this snack into a full blown fancy pants appetizer. All was noted and I can ensure you, the next time I have people over for wine these little counterfeits will be present, with toast. Not so pretty but Oh so tastey! Pre-Heat Oven to 425 degrees. Clean mushrooms to your liking (I prefer to pluck out the stems and give them a good rinse followed by a pat down in paper towels). In a large bowl toss mushrooms with oil and herbs (save the 1/2 T. parsley for garnish). 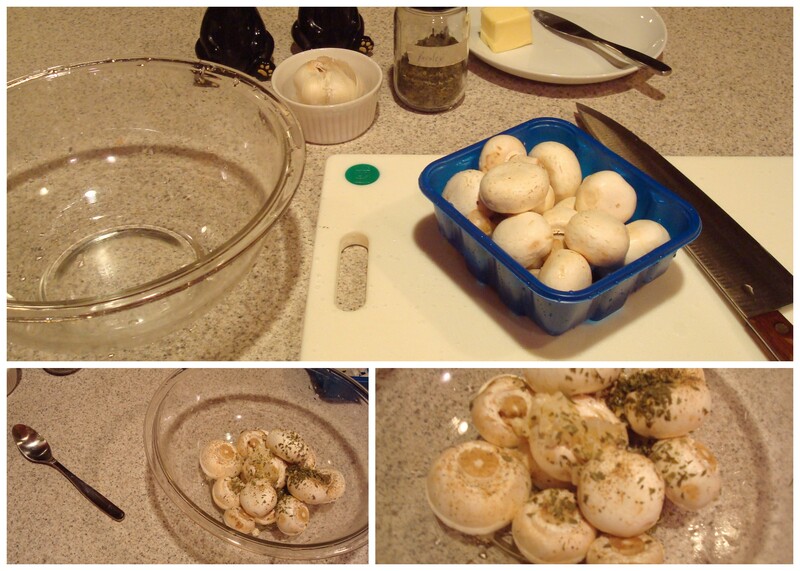 Spread coated mushrooms into a ceramic or glass dish in a single layer. Dot the tops with tabs of butter. 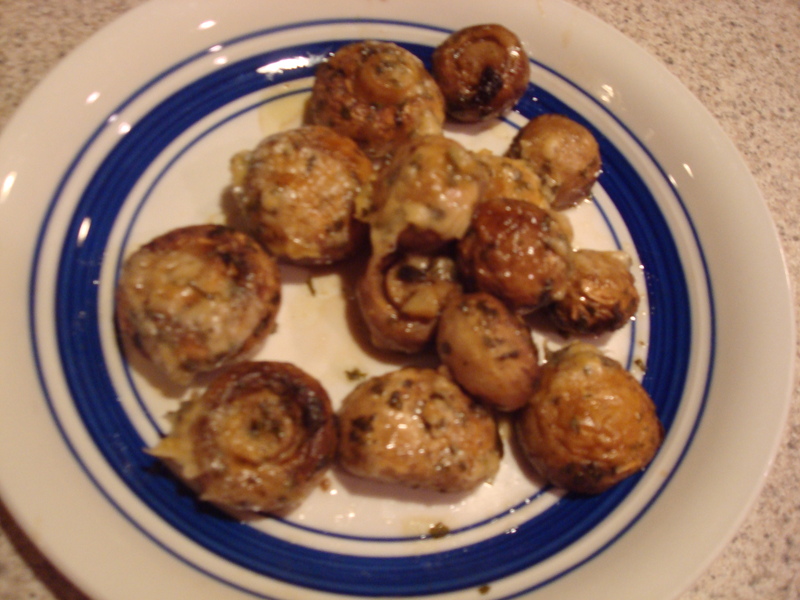 Roast mushrooms for about 15-20 minutes or until completely tender (use fork or taste). Top hot mushrooms with remaining parsley and parmesan while warm then serve*. This entry was posted in People Food and tagged Appetizer, Cooking, elegant, mushroom, Pets, Recipes, simple, vegetarian, wine by Angie. Bookmark the permalink.